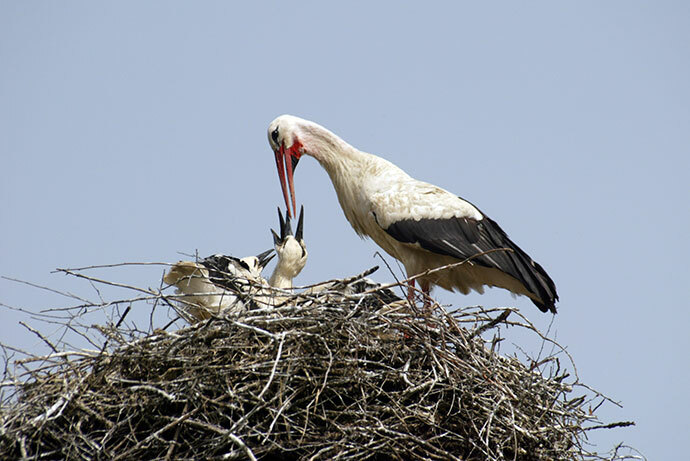 Do graphic designers hate storks? Seeing the subject he was going to face, the designer smiled to himself. He made himself comfortable in the chair and got down to work, whistling joyfully. But his joy did not last for long and his smile disappeared as quickly as it started when it turned out the photos are absolutely not suitable for print. 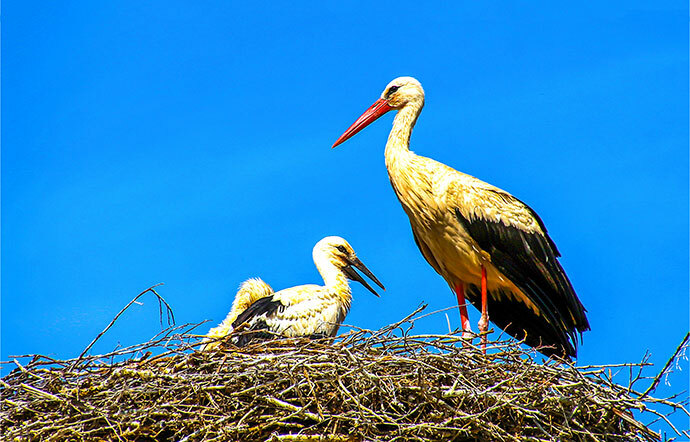 The graphic designer did what graphic designers always do in such circumstances, that is he grabbed the phone, called the editor and said in a gravely voice that the customer must provide better photos of storks, as these are too small to be printed in a magazine. The editor, who was already working on a completely different project for a completely different customer, did an about-face and then did something that makes graphic designers tremble: asked if he is sure about this… Not going into details, the designer WAS SURE. 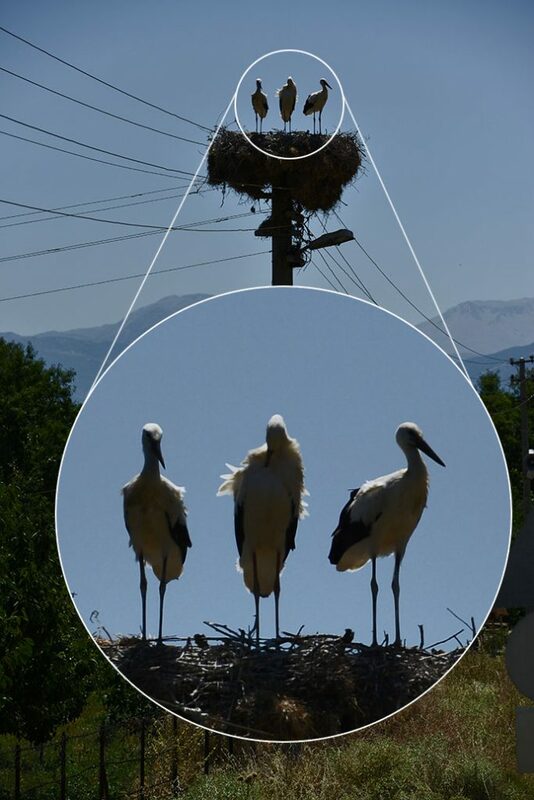 “Our graphic designer has checked the storks photos and, alas! It turns out they’re too small and not good enough for print. I need to ask you to send bigger ones. “Hm… I thought they were big enough, each of them weighed 2 or 3 MB, they looked good on the monitor. “I thought so too, but no, we checked and they won’t do. Please try, we’ll wait. “OK, I’ll ask the colleague who took the pictures to send me better ones. An hour later the editor got new storks to the FTP. Her editor’s intuition was screaming into her ear not to praise the day before sunset, but for now, she decided to ignore those screams. After a while it turned out the intuition was right. The graphic designer informed her that the new pics are just as good as the old ones, so we still have no photos. Example of a too small image. This case can be considered two ways: a) image is too small in its original size or b) image is not suitable for zoom – zooming in of the given element is impossible. Comfortless, the editor called the customer for the second time to tell him bad news. The astonishment was even bigger than the first time. 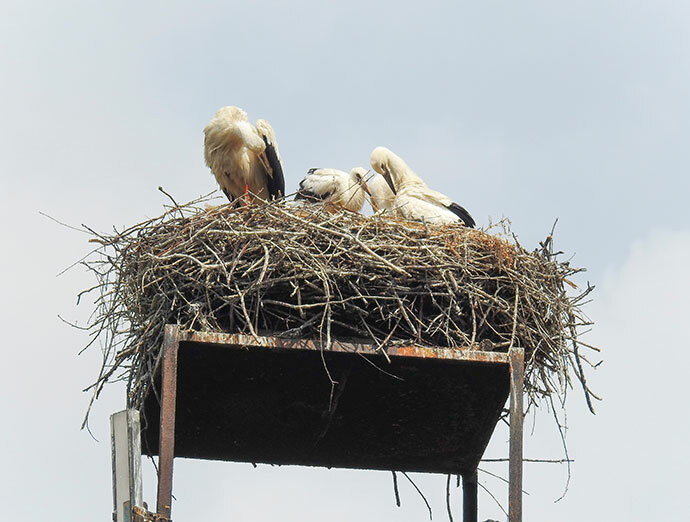 With the eyes of imagination the editor saw the customer throwing up his hands, not seeing any chance to get better photos of storks. Being a reliable man, he promised to lean on the author of the photos and get back to the editor with information. Nervously making coffee and continuously discussing with the graphic designer the problem she was fed up with, the editor was trying not to listen to the voices of her intuition, which already knew this wouldn’t work. Example of incorrectly lighted image (too dark). Before the editor called the customer for the third time, she made a different call – to our photographer. She intrusively demanded that he told her where he was at the moment, adding that hopefully he’s not on a vacation. Luckily, the photographer did not got for a vacation, and by some miraculous coincidence it turned out he was going to shoot a session in Augustów the next day. 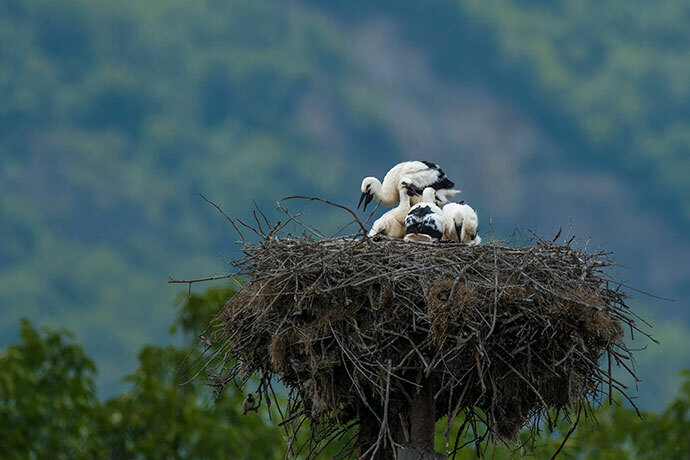 The editor felt a new wave of power going through her body, she agreed with the photographer that if the customer accepts the costs he would set off earlier, take pictures of all the storks he sees on the way and send them to the agency. And that was the moment for the editor to call the customer for the third time. She told him about the possibility for our man to take the pictures. The customer accepted the idea and the costs with a relief. He was probably also happy that the editor would not call him for the fourth time to lecture him on the inadequacy of the photos. How do we know the photo is not good enough for print? The easiest way used by a graphic designer to see if a photo is sufficiently good to be published is to place it in the layout and adjust its size to the size of the space it needs to fill in. This is usually done in InDesign, where the Links panel enables us to see the so called effective dpi, or the current resolution after changing the scale of the photo. If we enlarge the photo, the effective dpi decreases, which means the quality of the photo drops. The mathematic dependence is linear – enlarging the photo twice will make the resolution two times smaller. Resolution isn’t always strictly defined by a specific number. Printing houses usually set the lower limit for the accepted resolution, or brackets in which the resolution should be. For years the lower limit has been 300 dpi. It does happen sometimes that the printing house lowers the resolution to e.g. 225 dpi in the case of large-format colored prints, or increases it to 450 or 600 dpi for special requirements print-outs, such as albums. Can you initially check the photo quality by yourself? Yes you can – with a simple calculation. 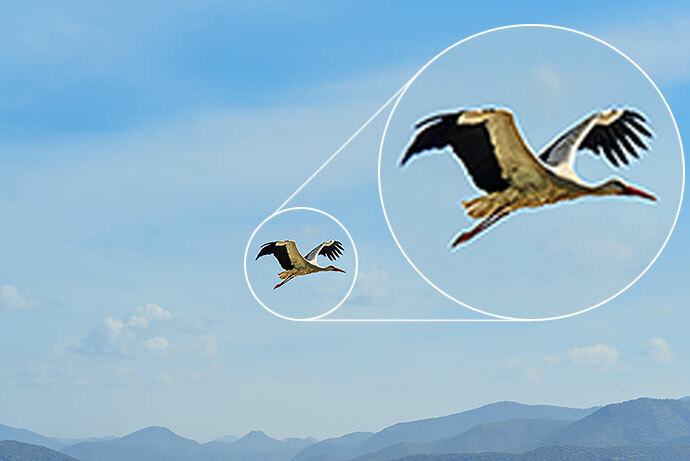 The dimension of photos sent by photographers are determined with the number of pixels (points) in vertical and in horizontal view. This results from the construction of light-sensitive camera matrix. And so, a camera with a 12 megapixel matrix provides photo size 3000 x 4000 px. DPI determines the number of pixels per one inch. If we know the photo should be 300 dpi, we know there are 300 pixels in one inch. If we have 4000 pixels in one dimension and 3000 pixels in the other dimension, in print we can get a photo sized ca. 13 (4000:300) inches per 10 (3000:300) inches, which means 13 x 2.54 and 10 x 2,54 which gives ca. 33 x 25.5 cm with 300 dpi. Photo format JPG, TIFF, PSD, EPS, or the format in which the photo is saved influences its quality only when it is a JPG. This format uses compression (information loss) EACH TIME the photo is saved. When the picture is saved many times, more and more information gets lost. This results in decreased quality of the picture (esp. 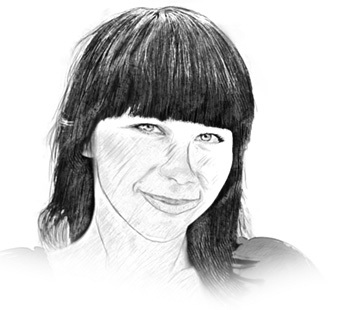 the quality of tonal shifts) and visible pixels.